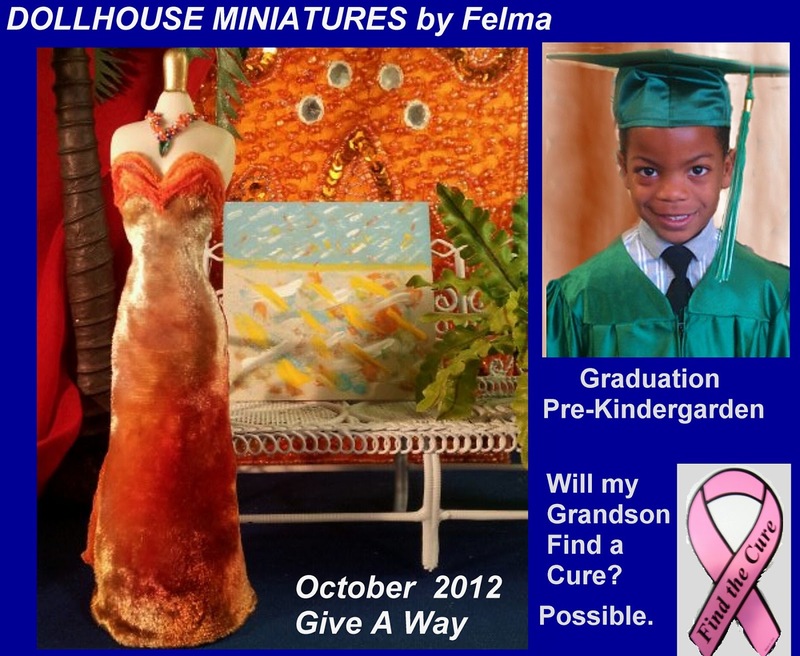 Dollhouse Miniatures by Felma J.: Marathon! October Winner! November Give A Way! "In the moments I get it right, every step I take seems to be matched by a universal mystery, which obligingly, incredibly, creates what I can't." My favorite daughter never gave up as she finished her very first half marathon (13.1 miles)! The same marathon I was training for two years ago and never finished due to health issues. October being National Breast Cancer Month, I know she crossed that finish line for me and a ton of survivors, grinning like she had found a healthy cure for the whole world to be the best it can be and especially for hubby and their boys. Mcddiss is our October Dress Winner! When you leave a comment on this post, you are automatically entered into this draw. Be a follower of my blog AND leave a positive comment on THIS POST ONLY before the deadline of Friday, November 2nd, 2012 at 3:00 PM Pacific Daylight Time. One winner will be drawn on date of deadline and will be posted the following week on a new post. Thank You and hugs to all. Concrats to your daughter!!! !I belive you are very proud of her, and she is also very proud of you!!! Never give up! Maybe one day you will finish a marathon together with your daughter. Please count me in your new generous giveaway. That dress is SO pretty, please enter me in the give away. Please, count me in your new giveaway. Your new dress is amazing! I put the link on my blog. Congratulations with your daughter!! 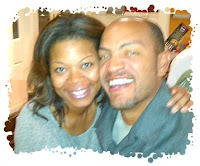 I am very proud on you both!!!!! NEVER GIVE UP!!!! Congratulations to the winner Mundo! It's a beautiful dress!!! Felma, can I join for the dress? They are sooo beautiful and I like to win one of your dresses. Congratulations το your daughter and you!so sweet words...congrats to the winner!of course i ll take a part to your giveaway! !pretty little dress!beauty color! !kisses and never give up!stay strong! Congratulations to your lovely daughter and congratulations to the lucky winner. This dress, like all the others made by you, is gorgeous! I'll put a link on my blog. Cuántas cosas buenas, felicitaciones a tu hija, es una luchadora y una campeona!!! Me anotas por favor en el sorteo de noviembre? Congratulations το you and your daughter! Please count me in your new dress' giveaway! Enhorabuena a tu hija es una gran luchadora, se merece toda la admiracion del mundo. Me encantaria participar en tu sorteo, me encanta ese vestido. Congratulation to mcdiss. Thank you for your generous chance, Felma and please count me in your new wonderful chance. The dress is so elegant. Congrats to your daughter, to do this marathon. I want to have so much energy. wow Felma congratulations to you and your daughter for the half mile run!! I again love your dress on hanger it's just fabulous!! Please count me in!!! Wow!! Felma, Congratulations το you and your daughter that's a great accomplishment!! Please count me in for your fabulous dress on a hanger it's just lovely!!! Felicidades a Mari, se lleva un regalo precioso! Y felicidades a tu hija y para tí también,por ser tan luchadoras en esta vida a veces tan dificíl! Me gustaría participar, en tu sorteo,y tener la suerte de tener uno de tus trabajos. Te anunció en mi blog!! Me parecen maravillosos todos los vestidos que realizas, me encantaría participar en este sorteo. Felicidades para tu hija por ir ganándole terreno a la enfermedad y ser tan luchadora. Felicidades por esos hijos tan maravillosos,y enhorabuena por cruzar esa meta,me apunto al sorteo,porque tengo la esperanza de hacer una coleccion de tus vestidos jajajja,un beso enorme,Rosa. 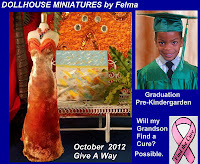 Hey Felma - Its just amazing to me what you can do with a piece of paper. The dress is simply beautiful. You are so talented and have such a gift. You are an inspiration to us all. Congrats to your daughter and I wish I had half of yours or her energy lol. Count me in on gthe giveaway. Thanks for all of your help. I'd LOVE to enter your beautiful draw - so I hope you'll count me in. Your fabulous dress on a hanger is so AWESOME!!! FElicidades a Mary, se lleva un vestido precioso, como el que vuelves a sortear. Me gustaría participar, el color es de mis favoritos y por lo que dices es tan pequeño. Un beso a tu hija y otro para ti y mucho ánimo, seguir luchando, tendreis vuestra merecida recompensa. wow that is one fancy dress Felma!! !